Native Grasses are a diverse group of plants with many Australian grasses being well known as clump forming grasses well suited for landscaping uses. Lawn substitues are also being developed although not widely available at present. A lot of research is being carried out into the suitability of grasses native to use as lawns in Australia, one promising species is Microlaena stipoides which is being trialled in a number of areas. Native grasses offer a lot more to the gardener and landscaper than many may think. Lomandra and Dianella are well known however many other species have a lot to offer as well. Longhair Plumegrass (Dichelachne crinita), is found throughout the South Pacific and is a tall growing perennial with feathery flower heads from spring to summer. Eragrostis elongata is known as Lavender Grass, an excellent selection for a part shaded position in the native garden, reaching around 30cm with taller flower spikes that appear in spring as the rains come. For roadside plantings Poa labillardieri is an excellent choice while Poa poiformis with its green or blue green foliage makes an interesting border plant, nice tight clumps. Another native grass worth considering is Carex Appressa, a versatile grass that grows in moist or dry conditions, it forms a nice tussock and has yellow seed heads as well. What about a grass for damper conditions, try Ficinia nodosa (syn Isolepis nodosa) or ‘Club Rush’ reaching around 1m this tough native grass will also do well in coastal conditions, as long as its damp. And the Pennisetums, Pennisetum alopecuroides is perhaps the most widely used, be a little carful here as many will self seed, and can tend to be a little invasive, but not all. Austrodanthonia geniculata is Wallaby grass and Austrodanthonia geniculata var Oxley is the one that is being touted as a lawn substitute, stays at around 30cm (much lower growing than Austrodanthonia richardsonii), slow to get going, but could well be worth the effort. 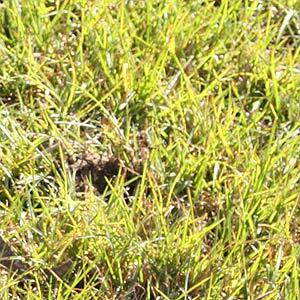 Or maybe Hemarthria uncinata is the answer for lawns also known as matt grass. Australian Native Grasses include : Austrodanthonia sp. , Austrodanthonia tenuoir (East Coast Wallaby Grass), Austrostipa densiflora ( Brush tail spear grass), Austrostipa ramossima ( princess spear), Austrostipa scabra (rough spear), Austrostipa verticillata (slender spear), Bothriochloa macra ( reg leg), Chionochloa pallida (silver top wallaby) Ophiopogen japonicus ‘nigrens’ ( black mondo ‘exotic)’, Poa meionectes (provincial pigmy ) Poa sieberiana.